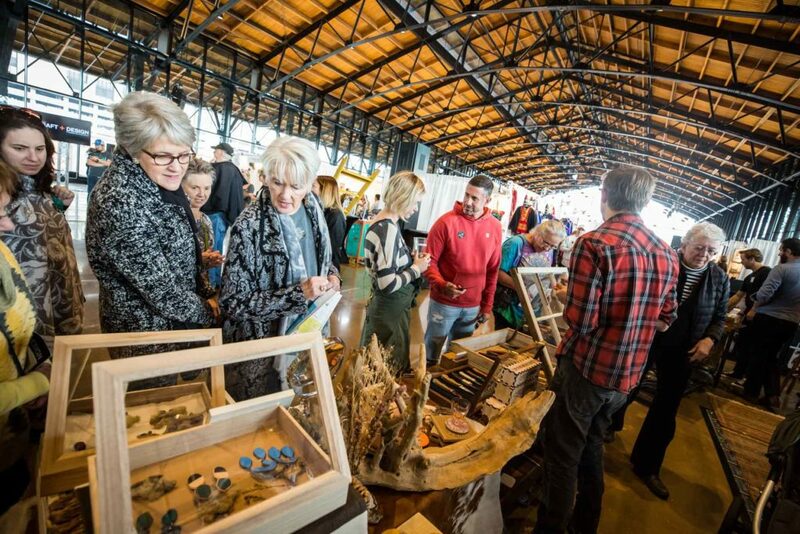 The Visual Arts Center of Richmond welcomes over 150 artists to Craft + Design this year. 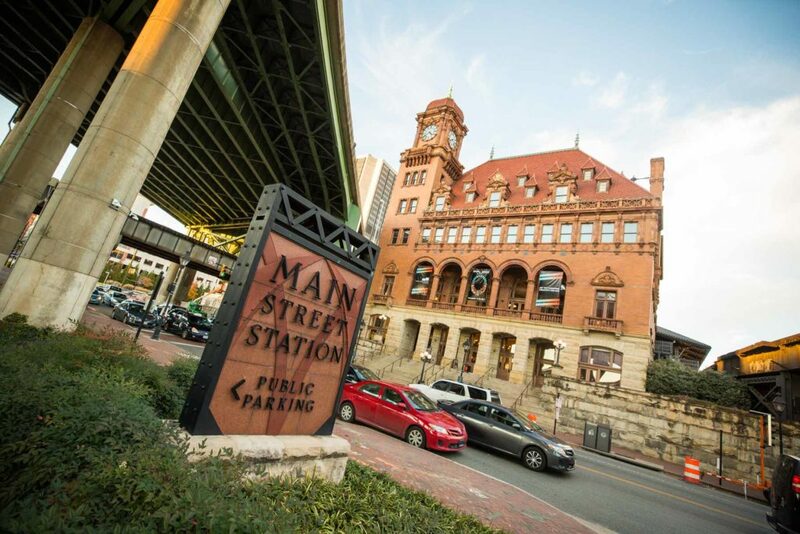 The 54-year-old contemporary craft show, presented by Altria Group, takes place at Main Street Station’s train shed on the weekend of Nov. 16-18, 2018. 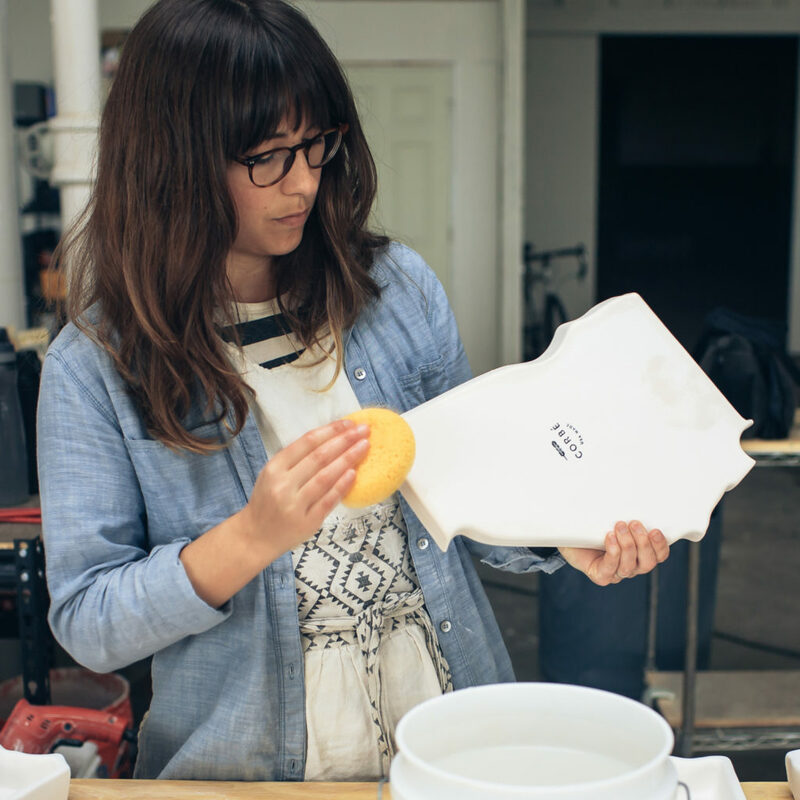 Over 50 artists are new to Craft + Design this year. Sixty-two percent of the show’s artists (82 total) are traveling from out of state, with 18 traveling from the West Coast. VisArts selected Detroit, M.I.-based ceramicists Kaitlyn and Ryan Lawless as Craft + Design’s featured artists. 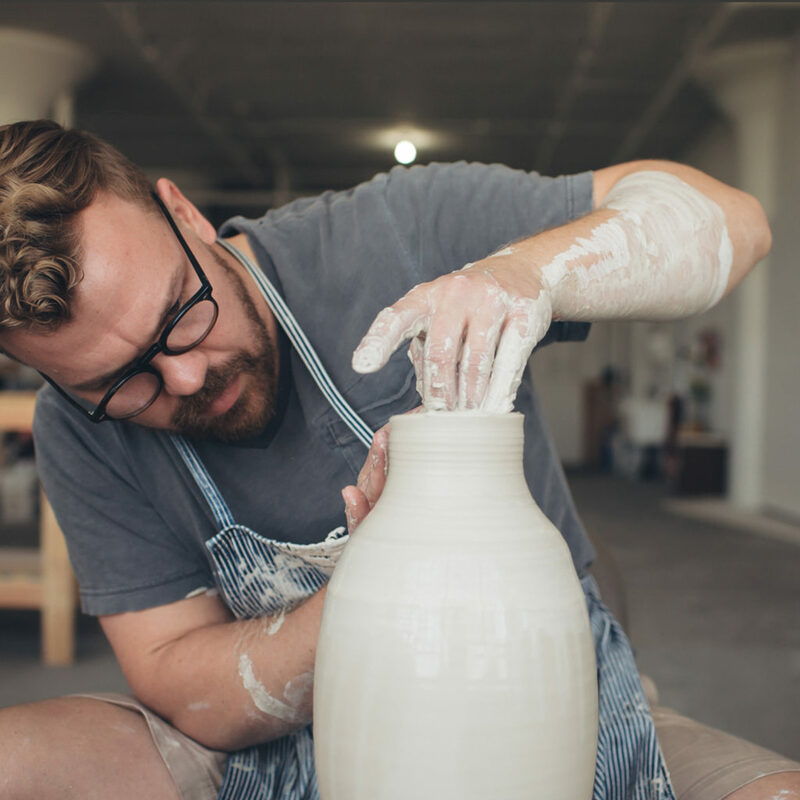 The husband/wife duo run Corbé, a ceramic design studio in the comeback city of Detroit. The couple is also new to the show this year. 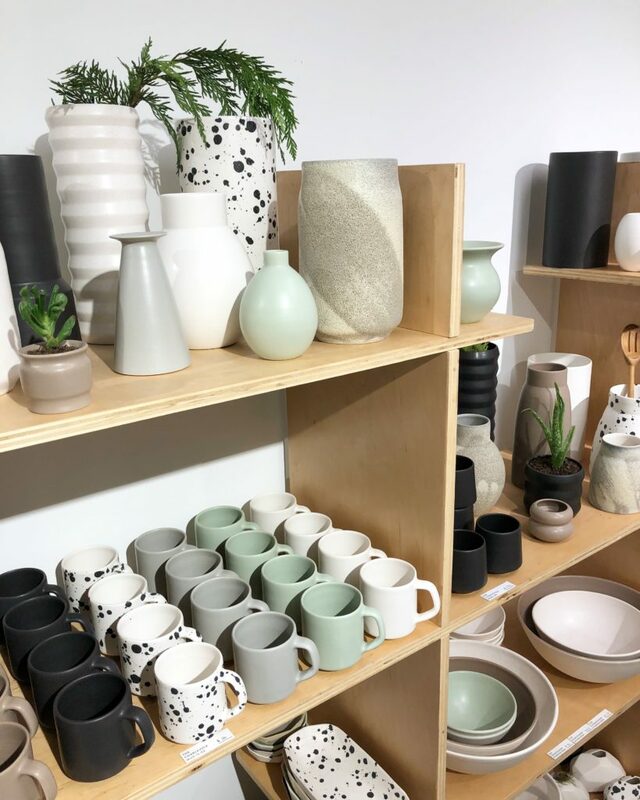 Corbé makes porcelain wares for the modern home and table. Corbé’s Fifty United Plates project is the featured image on all Craft + Design marketing materials. The artists re-created all 50 states in the U.S. as a collection of handmade porcelain dishes. A select number of state plates will be available for purchase at Craft + Design, alongside Corbé’s collections of table wares. Local Richmond notables include glass artist Grant Garmezy, who travels internationally to demonstrate the hot sculpting process. Most recently, he travelled to Spain, South Korea, Japan and Turkey. Other notable locals include Dianne Nordt, a fiber artist whose hand-woven, wool blankets have been featured in Martha Stewart Living magazine, and hat maker Ignatius Creegan, a longtime fixture at Craft + Design. VisArts will expand its teacher presence at Craft + Design this year by jurying in 20 artists who are instructors at the center. This is up from eight VisArts teachers in 2017. Accepted teachers include: Susan Adams, Ingrid Bernhardt, Michael Birch-Pierce, Joel Burman, Merenda Cecelia, Alexis Courtney, Maria Galuszka, Karen Hull, Paul Klassett, Michael Martin, Jeannine Metzfield, Claire McCarty, Philip Mills, Brad Pearson, Al Pellenberg, Julia Pfaff, Alyssa Salomon, Jude Schloetzer, Krisi Totoritis and Jeff Vick. Nationally, Craft + Design is recognized for being competitive to get into. Artists also say it’s an extremely hospitable show. 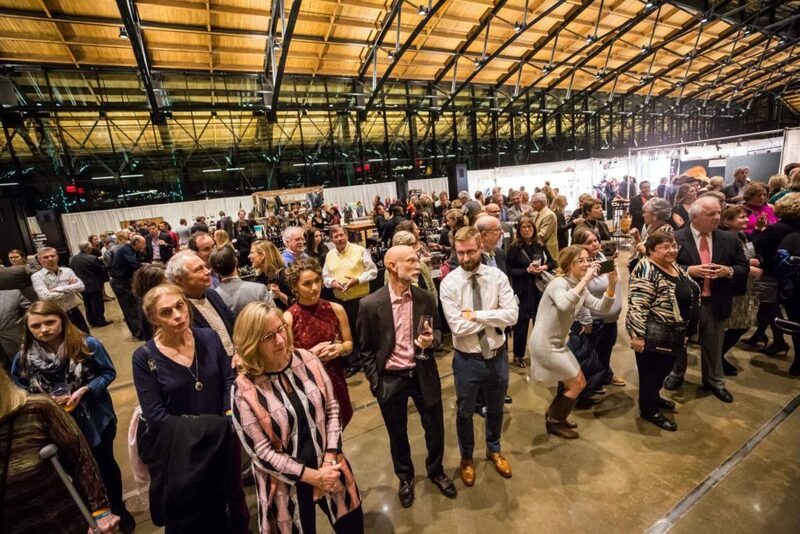 A hosted housing program and artists’ dinner are two of the perks that artists say set Craft + Design apart from other shows of its caliber. There will be two local maker booths at the show this year, featuring the work of Richmond-area craftspeople. 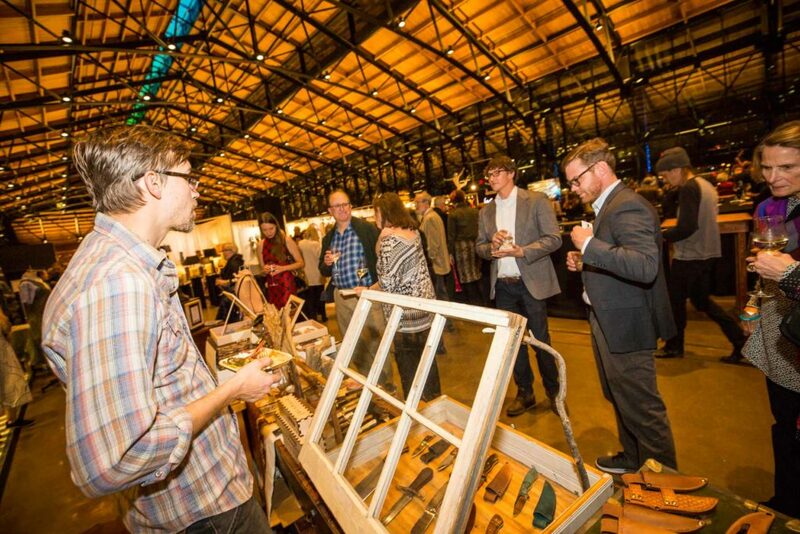 These special group booths will be curated by local brick-and-mortar retailers Shockoe Atelier and Dear Neighbor. Craft + Design will also feature a new Penland School of Crafts partnership booth, organized by local artist, Leigh Suggs. This booth will highlight several artists who are current and past participants in Penland’s prestigious Core Fellowship Program. The McKinnon and Harris Patrons’ Preview Party, which takes place on Fri., Nov. 16 from 6 to 9 p.m., includes beer, wine, hors d’oeuvres and the chance to shop early. Tickets cost $50 for VisArts members and $55 for the general public. The event features live music by Kendall Street Company. Patrons’ Preview ticket-holders automatically get access to an afterparty at Shockoe Atelier from 9 to 11 p.m. The afterparty is hosted by Craft + Design’s local makers and the center’s junior board, the Visual Arts Creative Ambassadors. The Rise + Shine Brunch, which pairs another early shopping opportunity with a light breakfast, bloody marys and mimosas, will run from 9:30 to 11 a.m. on Sat., Nov. 17. Tickets are $25 for VisArts members and $30 for the general public. At this year’s brunch, Richmond magazine will host a panel discussion by interior designers on integrating craft into the home. Regular shopping hours run from 11 a.m. to 6 p.m. on both Sat., Nov. 17 and Sun., Nov. 18. General admission tickets cost $10. VisArts members receive one or two free general admission tickets, depending on their level of membership. The Weinstein Properties Education Wing, located near the ticketing entrance, is a free, art-making space where both adults and children can explore the media Craft + Design artists use to make their work. Hardywood Park Craft Brewery is once again the exclusive beer sponsor of Craft + Design this year, serving beer throughout the weekend at a beer garden located in the middle of Main Street Station’s event space. During Saturday and Sunday’s regular shopping hours, Espresso-a-Go-Go and Goatocado will be serving food. People who would like to attend multiple events over the course of the Craft + Design weekend should consider purchasing a weekend pass. Weekend passes are $75 for members and $80 for the general public and include a ticket to Patrons’ Preview, a ticket to Rise + Shine, unlimited admission during regular shopping hours and free valet parking all weekend. 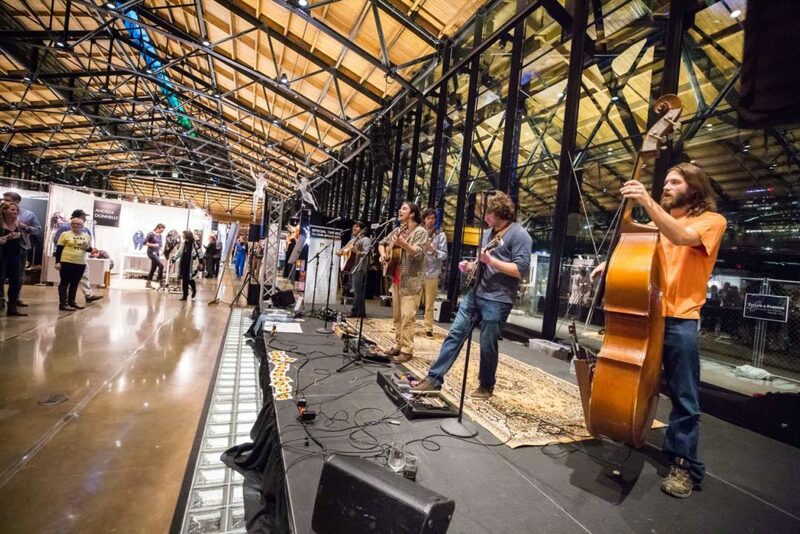 All proceeds from Craft + Design benefit the Visual Arts Center of Richmond.